Private prisons and private jails abound in the United States, and are popular with many investors. 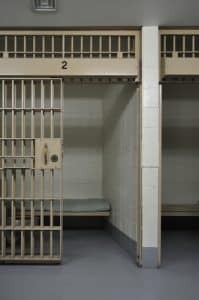 As a Fairfax criminal lawyer, my concerns about private prisons include the risk that the prisons will put investors’ profit interests above treating inmates right, and about possible limited Constitutional protections as to the private actors running and working at the private prisons. Praised be the Virginia Court of Appeals for recently confirming that private prisons are in fact subject to Miranda. Briggs v. Virginia, Record No. 1340-18-2 (Va. App. Jan. 22, 2019 (unpublished). Employees of inmate Brandon Briggs’s private prison searched his cell and found “seventy-two strips of Suboxone,” a controlled drug hidden inside his mattress. Prison employees visited Briggs in his cell, with one employee positioned in a way that would have made Briggs unable to leave. Un-Mirandized, a prison employee obtained Briggs’s confession that the seized drugs were his. Briggs upholds the trial court’s suppression of Briggs’s confession, based on the evidence that his private prison investigator was acting as an agent of law enforcement at the time. Fairfax drug lawyer Jonathan L. Katz pursues your best results against felony, misdemeanor, drug, marijuana, and DUI/DWI charges. Jon Katz will be delighted to discuss your case with you, by a confidential consultation scheduled through his staff.